Occurring unexpectedly, water damage can cause your home to go from beautiful to disastrous in a short period of time. Water damage can begin with a small leak in a pin sized hole in the wall, or even from a rusting pipe buried inside a wall. The damaged area can be restored back if acted upon in time, and in case the affected area is left untreated for long, it might lead to severe damage that might call for the replacement of the entire area. The people of Anaheim Hills have been benefiting from the services of Super Cleaning and Restoration Inc. for years. Our team of experts can help you in the assessment, repair as well as the remodeling of your house post water damage, and restore your house back to its original state. What we require from you in return is to be proactive so that the restoration process can be as cost effective for you as possible. There are areas that are prone to flood water damage, for such areas we offer complete, water restoration and remodeling services, though it is advisable to have insurance coverage. 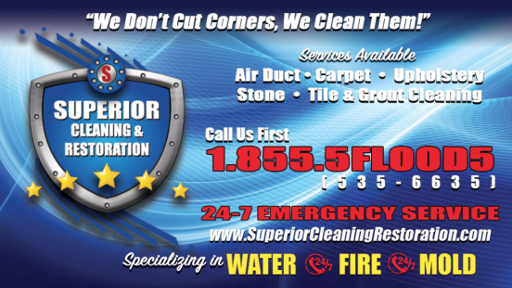 Superior Cleaning and Restoration Inc. works in conjunction with a host of insurance companies. Superior Cleaning and Restoration Inc. is a preferred company by insurance companies like Allstate and Farmers. We can bill insurance companies and work with adjusters directly which speeds up the claims process. For those without insurance we can negotiate a price you can afford. Superior Cleaning and Restoration Inc. have business and commercial services as well as residential for the businesses of Anaheim Hills. Superior Cleaning and Restoration Inc. has received certification from the Institute of Inspection Cleaning and Restoration, hence we know how to get the job done in the best most efficient way possible. Your water damage woes will be taken care of when you use our services, feel free to call us anytime.